These MCS-8 test boards are intended to facilitate testing of Intel 8008 processors (and compatibles). The design of the system itself is loosely based on the famous MARK-8 computer from 1973. The board supports testing (and use) of 8008 processors by Intel (8008 and 8008-1) as well as Siemens, Microsystems International, and the East German MME U808D. Available now for $149 with Free Worldwide shipping. 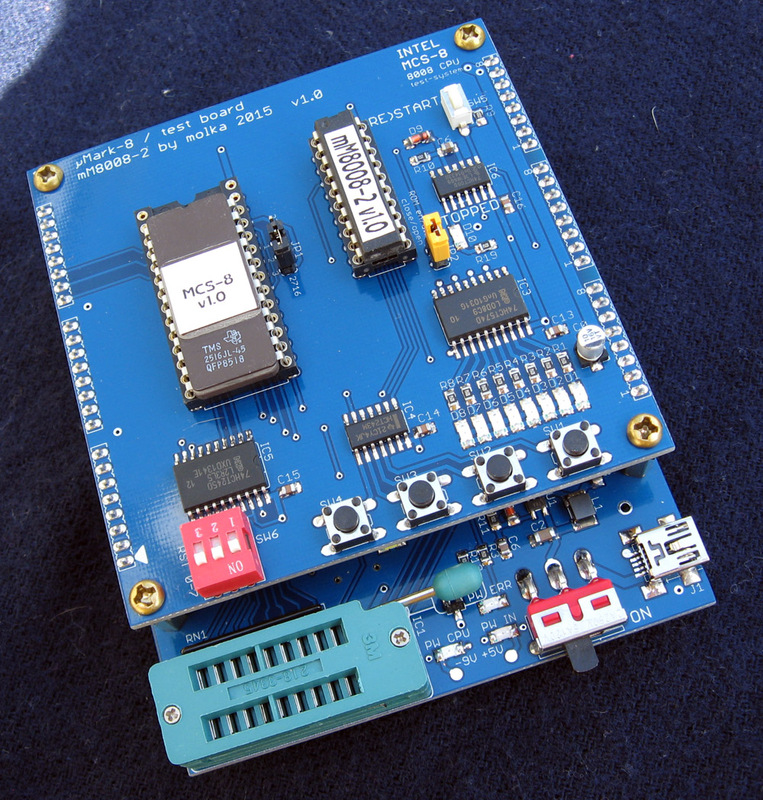 The MCS-8 test-system contains two boards. 18-pin ZIF socket: For i8008 CPU – provides easy replacement of the CPUs. Mini-USB power connector: The test-system requires a single +5V power supply (300mA) provided through a mini-USB connector. The CPU board contains the DC-DC converter needed for providing the -9V power required by the CPU. There is a power failure indicator and short-circuit protection implemented on the board. Indicator LEDs: Power Good, Power Failure and SYNC signal. (RE)START Push button: Start/Restart the test program. 3-bit DIP switch (SW6): Selects restart vector from 0 to 7. 4 push buttons: Input devices for selecting test pattern or other uses. STOPPED LED: Indicated CPU is in the STOPPED state. 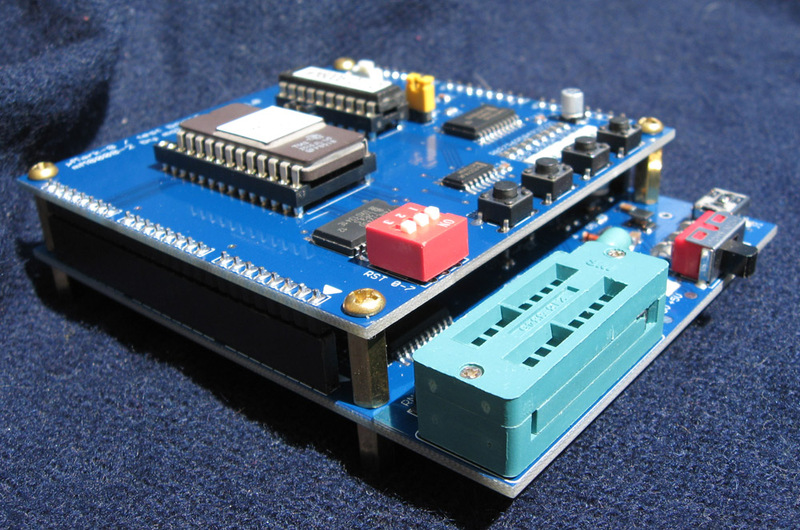 The EPROM can be reprogrammed with your own code if you choose to do so. Multiple programs can be loaded on to a single chip, as the board supports up to 8 restart vectors. The User Manual for the MCS-8 Test System can be downloaded here (pdf).